Computer cases are hard to choose now-a-days. The last few years have given rise to cases with modded windows � a practice previously unheard of. 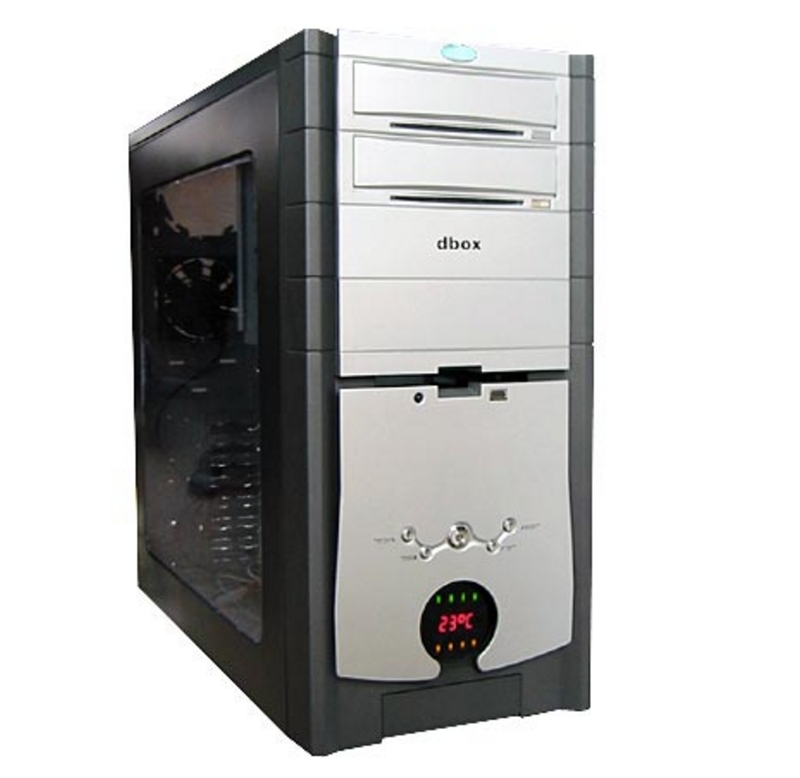 Now it�s a growing a trend to have a modded PC case with a side panel window. Add some rounded ATA cables, cold cathode lights, a few LED fans in addition to your standard PC components (motherboard, CPU, HDD, Optical Drives) and voila� pretty soon you have a decked-out and modded case. With so many options available as to what can be done to a case, it is no wonder there are myriad cases from which to choose. THE CASE DID NOT COME WITH A POWER SUPPLY UNIT, SO PLEASE BE AWARE OF THAT IF YOU DECIDE TO BUY THIS PRODUCT. SORRY IF THIS IS ANNOYING, BUT SIMILAR MESSAGES LIKE THIS WILL BE SEEN TO ENSURE THAT CONSUMERS DON�T MISTAKENLY BUY THIS CASE EXPECTING A POWER SUPPLY. Today, we take a look at the Ahanix dboX Silver. Just looking at the case might start to make your mouth water. The Ahanix dboX Silver has a Light Black/Grayish Black body with a slick silver front cover, which includes the unique silver CD bay bezels. 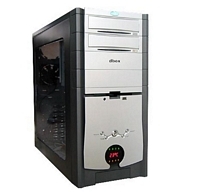 The case has a large window side panel for those gamers/modders who like to mod their case with led fans, cathode lights, and other modding accessories.